"It took me a long time to decide what was right and calla lilies were exactly right. I love it. And I had it put where I could see it— it’s both in memoriam and memento mori. I have this idea that white callas were on my father’s coffin, but that’s almost certainly not true. But it should be. Callas are the most elegant flower; that curve is sensual and enticing. 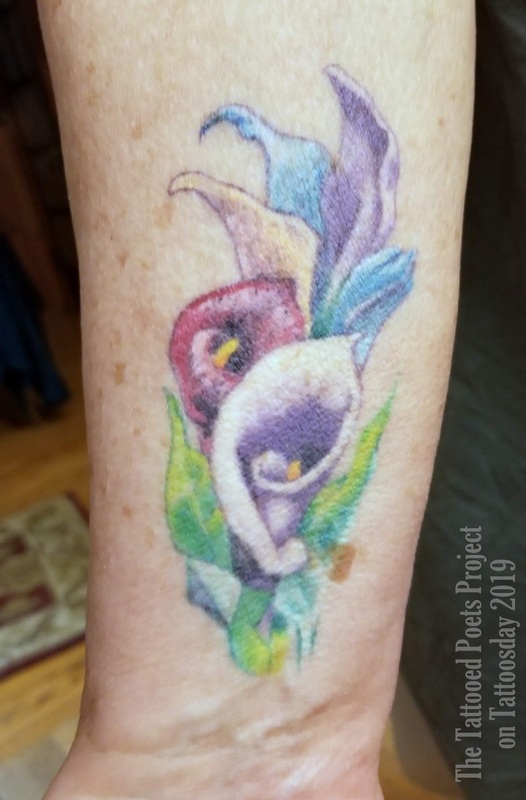 I had the tat done when I was sixty-five (it took me five years to decide what I wanted), by Mike at Evolvink Studios (@evolvink) in Morristown, New Jersey." each one a door, and the house fallen down. the breath, the will. The walls are sighing. There is a violent wind kissing the latch. And there are days I do not know my name. Renée Ashley’s collection of essays, Minglements: Prose on Poetry and Life, will be released any day now. She’s the author of six volumes of poetry: most recently The View from the Body (Black Lawrence Press) and Because I Am the Shore I Want To Be the Sea (Subito Book Prize, University of Colorado—Boulder). She’s also written a novel, Someplace Like This. 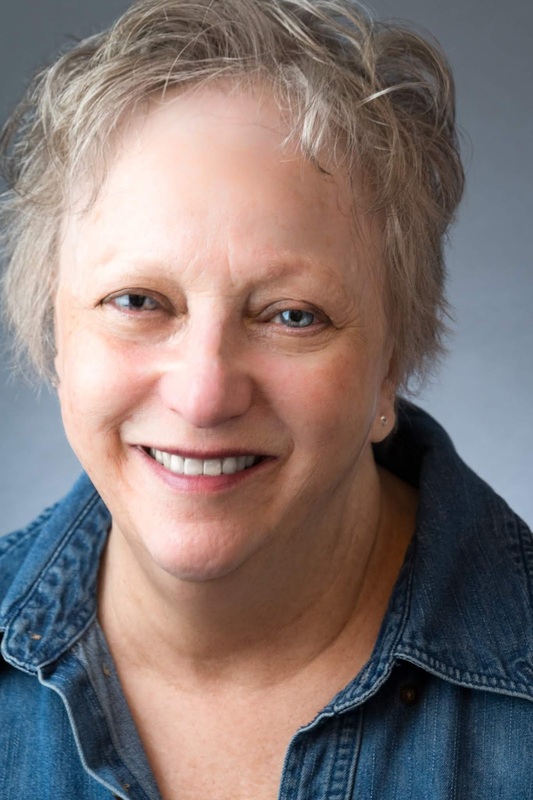 She has received fellowships in both poetry and prose from the NJSCA and a fellowship in poetry from the NEA. A portion of her poem, “First Book of the Moon,” is included in a permanent installation by the artist Larry Kirkland in Penn Station, NYC. Ashley teaches in the low-residency MFA in Creative Writing and the MA in Creative Writing and Literature for Educators at Fairleigh Dickinson University. Her seventh collection of poems, Ruined Traveler, will be released this fall. Thanks to Renée for sharing her lovely tattoo and poem with us here on the Tattooed Poets Project on Tattoosday!